I know that I am SO behind in posting new material on my blog, but I promise that I am a lot better at posting on my Facebook page. Please make sure to follow my Facebook page if you are interested in seeing products as soon as they are completed. Plus, you get free products! 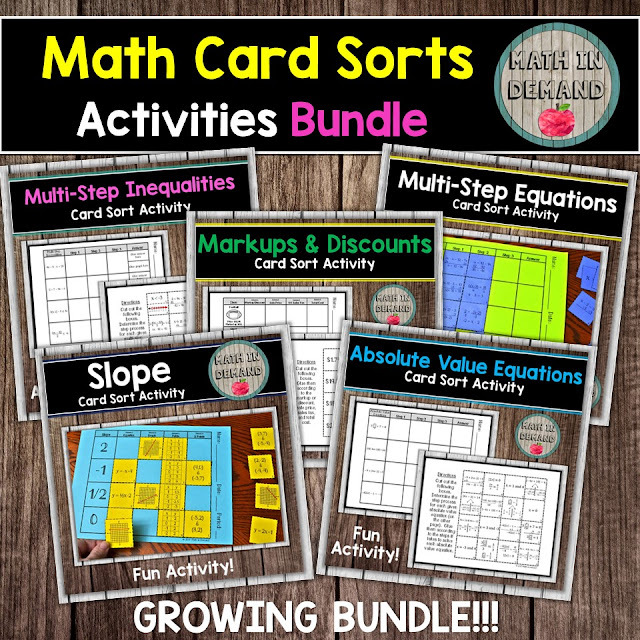 Some new activities that I am so excited about are my card sort activities. I love these activities because you can laminate the cards and use them year after year, or you can also have students glue them into their interactive notebooks. 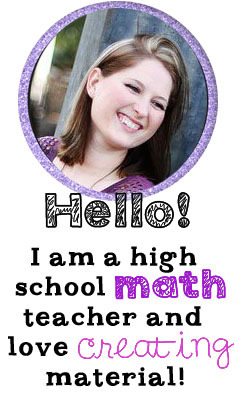 They also look great when printed on colored card stock paper. 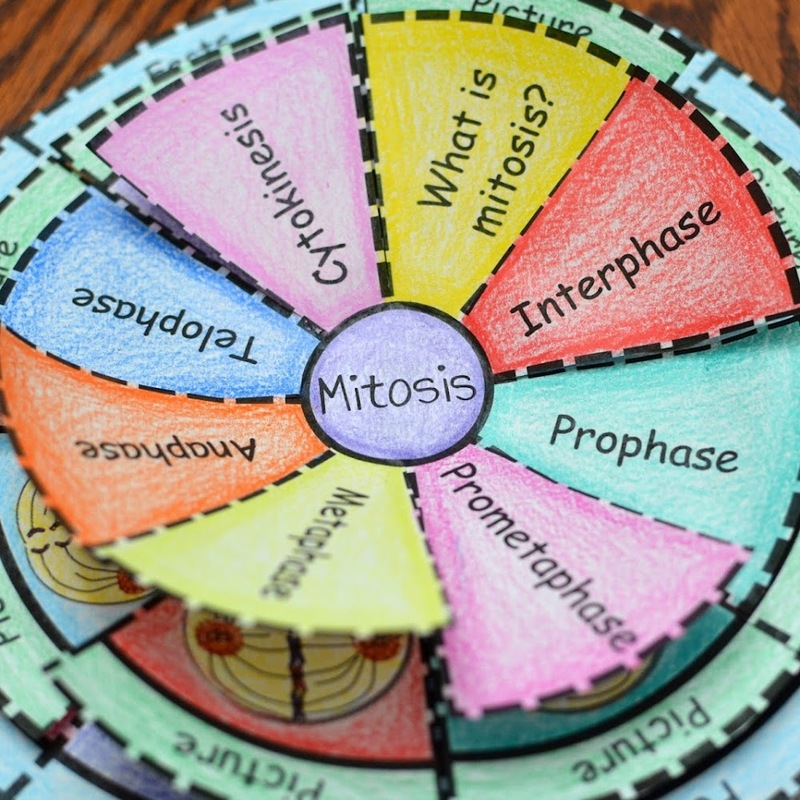 These card sort activities are a great way for students to be engaged. 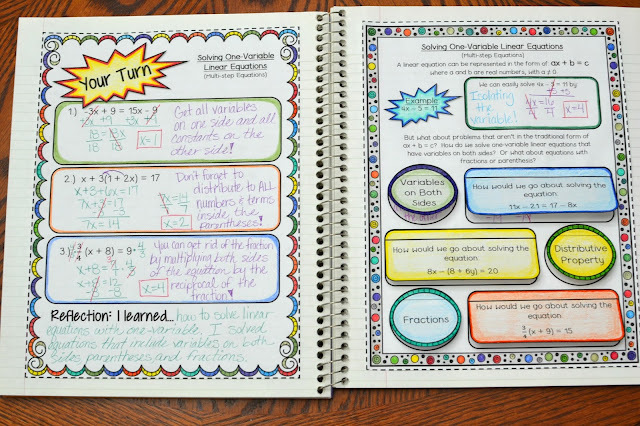 Some of the card sort activities involve students thinking about the next step in solving problems. Some other card sort activities have students calculating the answers to determine which card goes in each column or row. You can purchase each card sort activity separately or save money by purchasing the bundle. If you are interested in the bundle, you can purchase it by CLICKING HERE. 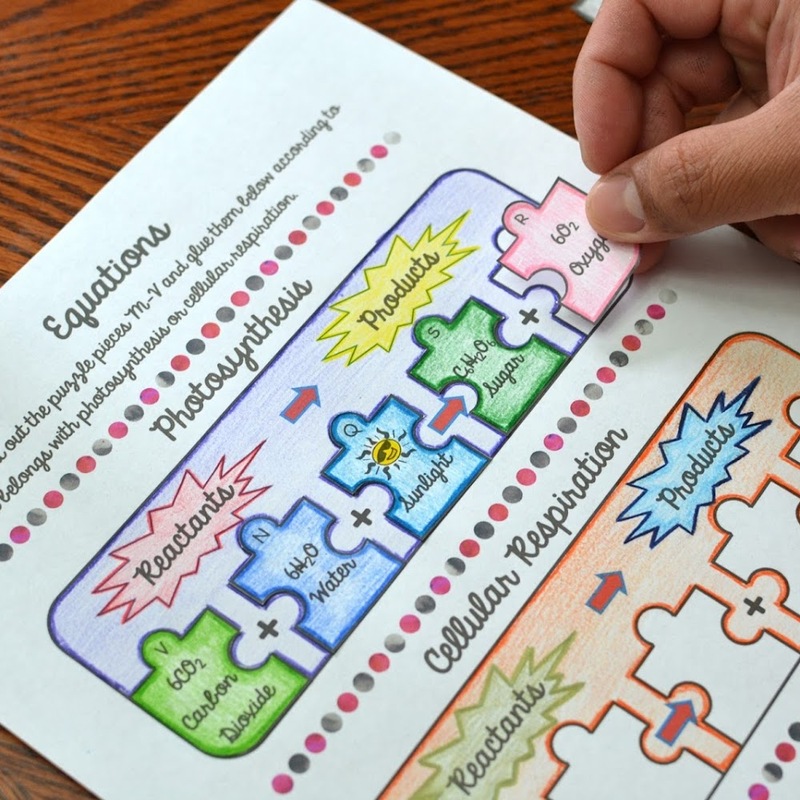 I am always thinking of new ways to incorporate vocabulary into the classroom, and these coloring worksheets are perfect! 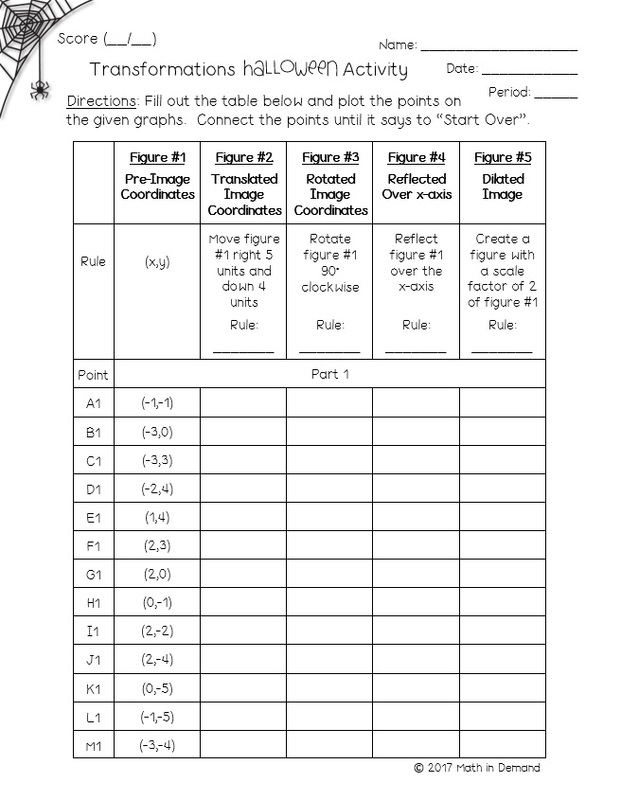 I have just created a coloring worksheet on the 7th grade math number sense vocabulary. The vocabulary includes absolute value, numerator, denominator, quotient, rational, decimal, integer, fraction, product, reciprocal, least common multiple, greatest common factor, remainder, divisor, dividend, and improper fraction. 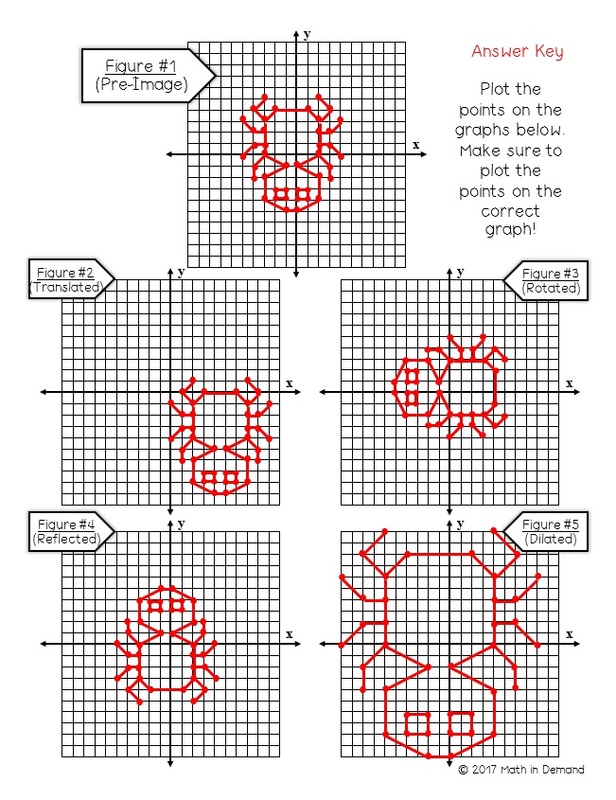 I am working on creating 5 coloring worksheets for each grade level (6th, 7th, and 8th). 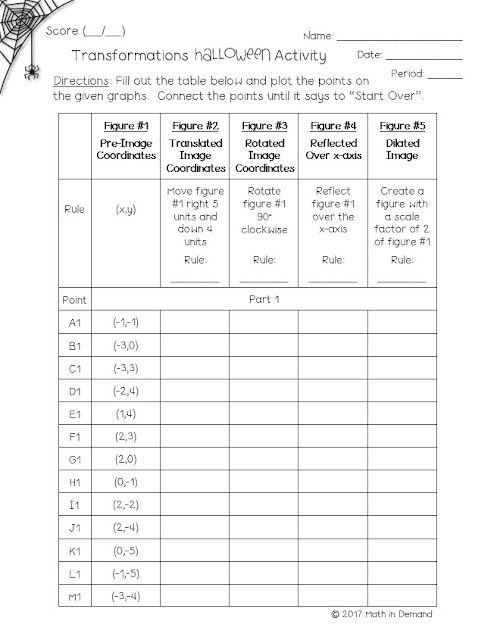 The coloring worksheets will align to my interactive notebooks for the following units: (1) number sense, (2) ratios & proportional relationships, (3) expressions & equations, (4) geometry, and (5) statistics & probability. You can save money by purchasing my entire bundle of coloring worksheets. This is a growing bundle that will include all future coloring worksheets along with the ones that I have already completed. You can check out my bundle by CLICKING HERE. CLICK HERE if you are interested in purchasing my 7th grade number sense coloring worksheet. I know that it has been a little while since I have posted, but I promise that I have been working on so many amazing projects! 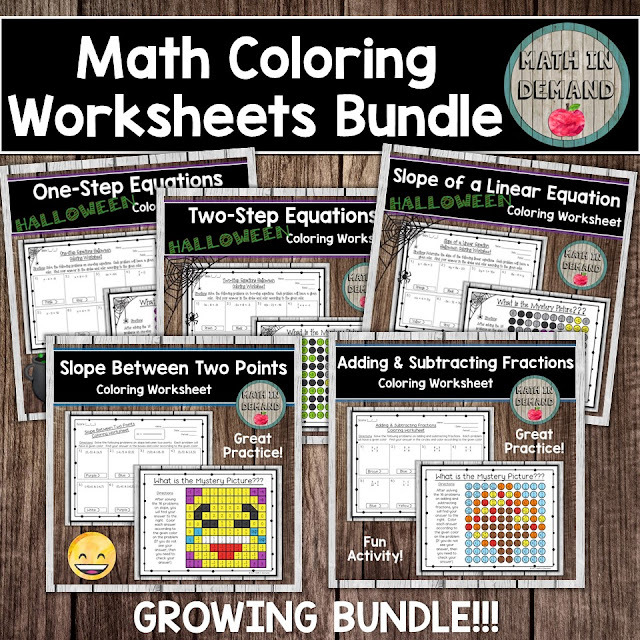 One of these projects includes math coloring worksheets! These worksheets have 16 math problems, and once students complete the problems they will be coloring the answers to reveal a mystery picture. 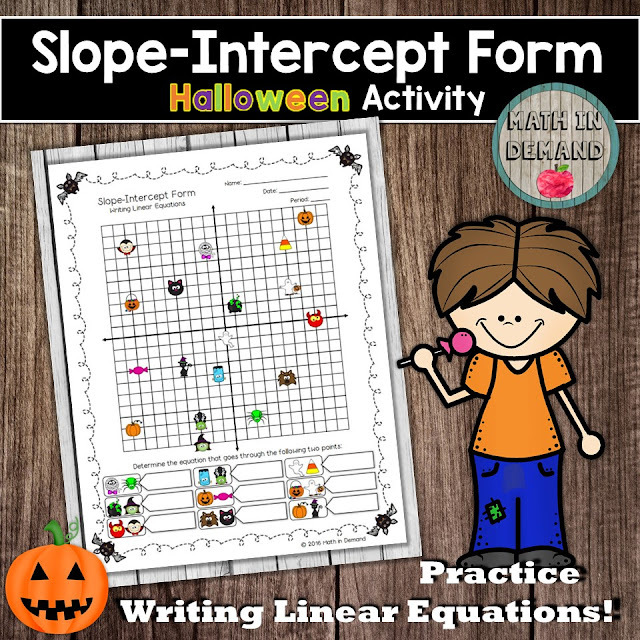 I have some Halloween themed coloring worksheets and along with non-seasonal coloring worksheets. I am working on adding some Thanksgiving and Christmas ones as well. 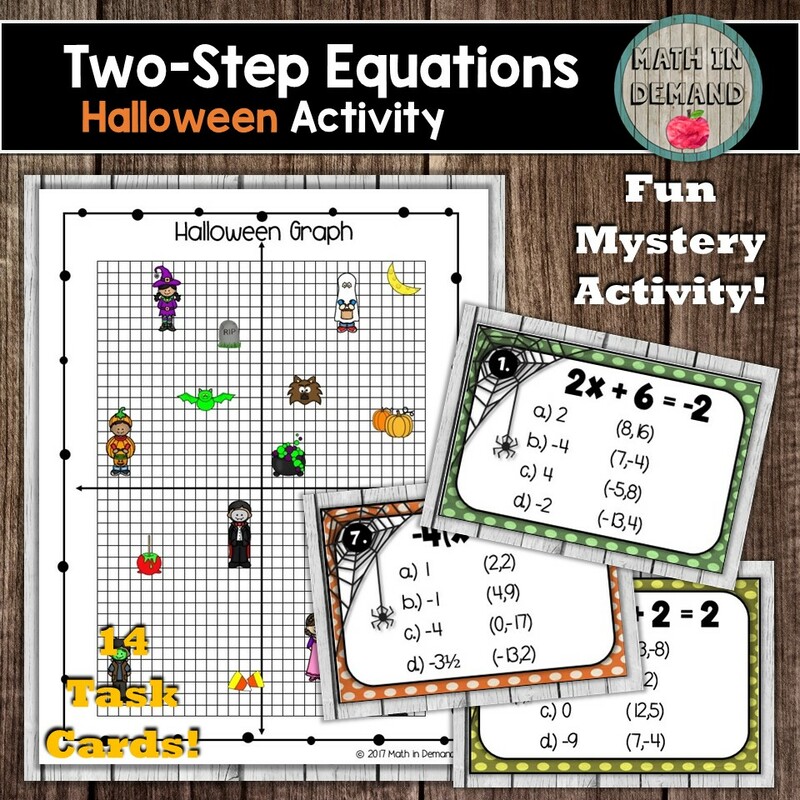 I love these worksheets because students are able to gain confidence in their math skills when they find their answers in the mystery picture. I sell all of my worksheets individually or in a bundle. 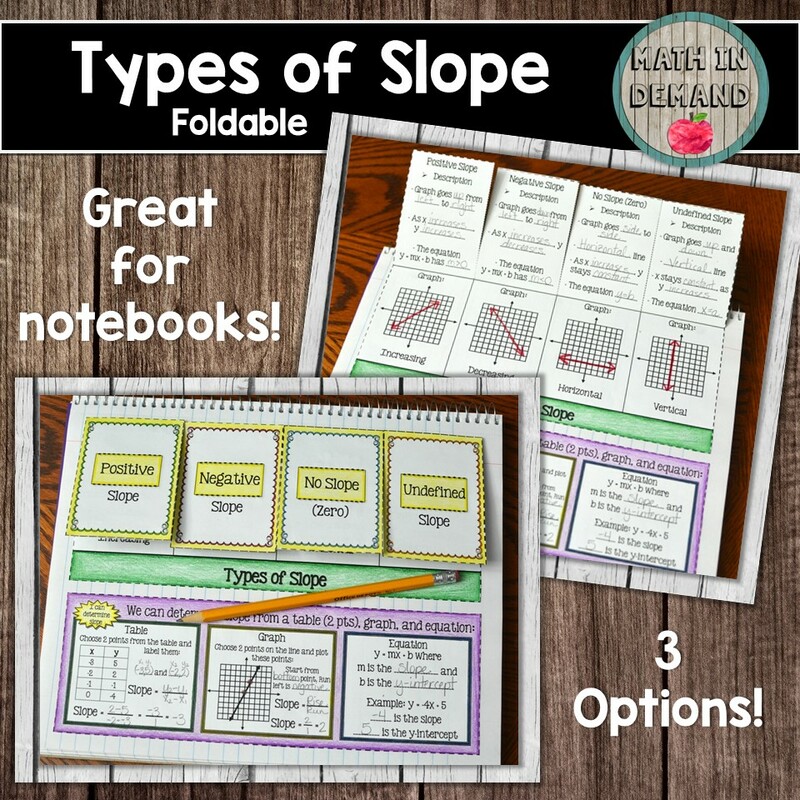 It is more cost effective to purchase the bundle but you can also purchase the individual worksheets in my store. 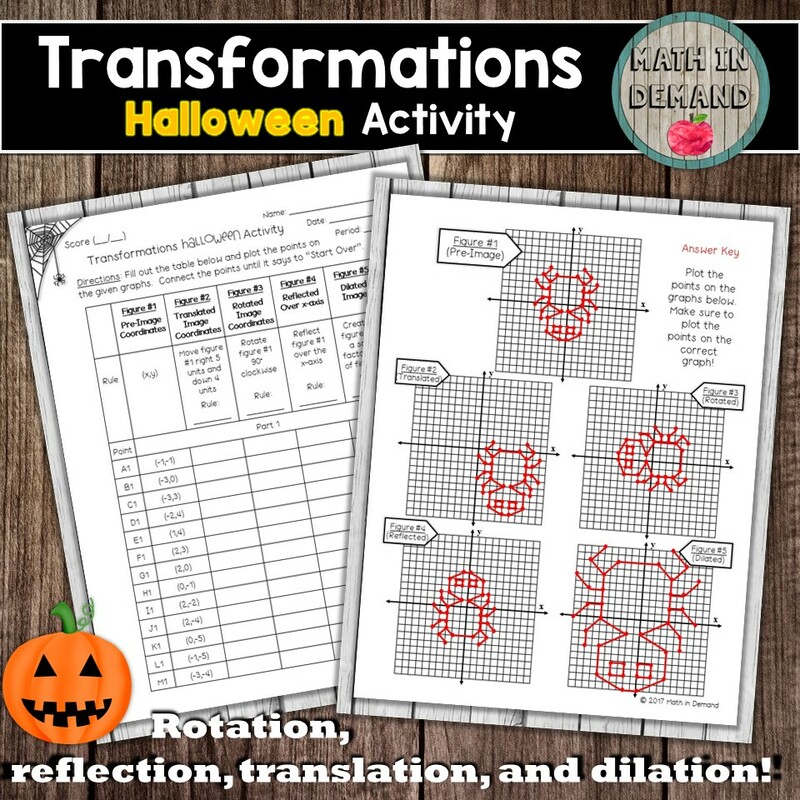 You can purchase my worksheets bundle by CLICKING HERE. If you are not following my Facebook page then you are missing out on a lot of freebies! 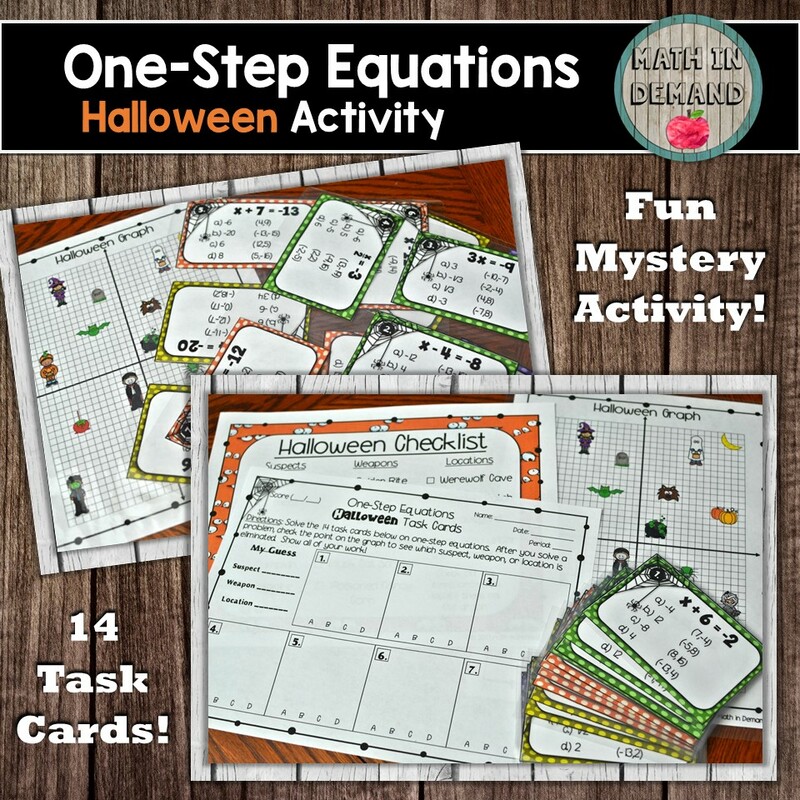 I have been posting a lot of freebies for my followers that involve one-step equations, two-step equations, 7th grade cheat sheets, and 8th grade cheat sheets. An example of one of my freebies is this one on one-step equations Halloween task cards. 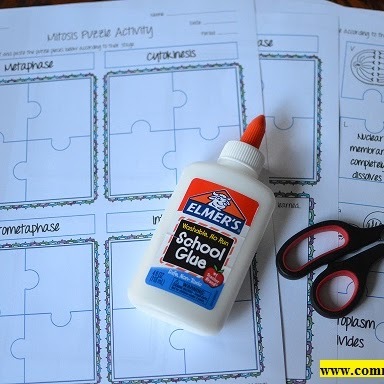 This is such a fun activity and your students will love it! However, you have to be following my page to take advantage of these freebies because I normally only keep them up for a week! In addition, I am always doing raffles and having giveaways! If you are interested in receiving these freebies, being notified of new products, and being entered in raffles then you can follow my Facebook by CLICKING HERE.